Employing Marxist theory to address the postcolonial problems of several different countries, experts analyze such issues as the renewal of Islamic fundamentalism in Egypt, debt relief, trade union movements, and strike action. Includes interviews with leading African socialists and activists. With contributions from Leo Zeilig, David Seddon, Anne Alexander, Dave Renton, Ahmad Hussein, Jussi Vinnikka, Femi Aborisade, Miles Larmer, Austin Muneku, Peter Dwyer, Trevor Ngwane, Munyaradzi Gwisai, Tafadzwa Choto, and Azwell Banda. Leo Zeilig coordinated the independent media center in Zimbabwe during the presidential elections of 2002 and, prior to this, worked as a lecturer at Université Cheikh Anta Diop in Dakar, Senegal. He then worked for three years as a lecturer and researcher at Brunel University, moving later to the Center of Sociological Research at the University of Johannesburg. 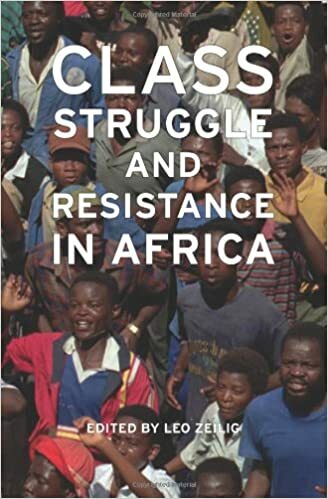 He has written on the struggle for democratic change, social movements, and student activism in sub-Saharan Africa. Zeilig is co-author of The Congo: Plunder and Resistance 1880–2005. in government and in positions of political power. The solution according to this formula is simply the search for honest, courageous people to lead Africa out of the contemporary impasse. 8. See a recent collection on some of these questions: C. Barker, A. Johnson and M. Lavalette (eds), Leadership and Social Movements (Manchester: Manchester University Press, 2001). 9. Abdoulaye Bathily, Mai 68 a Dakar-ou la revolte universitaire et la democratie (Paris: Editions Chaka, 1992), p. 80. 10.